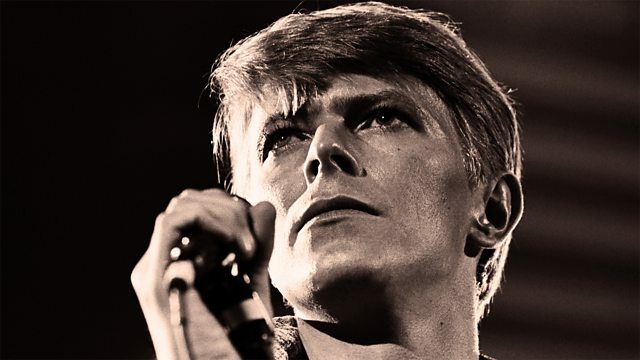 Producer Tony Visconti uses the original master tapes from sessions at Hansa Studio in Berlin to get to the heart of one of David Bowie’s best-loved songs, the title track from "Heroes". We hear the song built up by individual contributions, including those from guitarist Robert Fripp, Brian Eno's 'synthesiser in a briefcase' and of course David Bowie's powerful, harshly emotional vocal. This film with Tony Visconti is an extended version of that on the BBC Four programme Music Moguls: Melody Makers. It closes with the iconic music video for Heroes, directed in 1977 by Stanley Dorfman. Films and exclusive features to accompany Music Moguls on BBC Four.